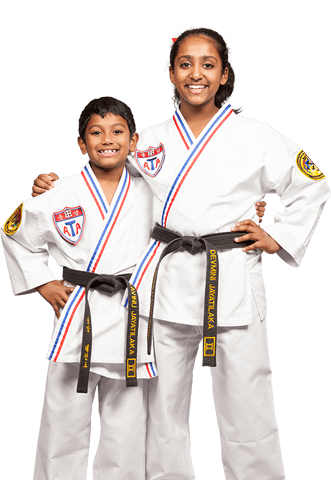 In Songahm Taekwondo, our belts reflect a member's proven level of competence and the progression of colors reflects an inner journey that never truly ends. Click on the PDF file (Form Name) for each belt rank's printable sheets. 18 moves "Pure and without knowledge of Songahm Taekwondo." 23 moves "The sun is beginning to rise." As with the morning's dawn, only the beauty of the sunrise is seen rather than the immense power. The beginning student sees the beauty of the art of taekwondo but has yet experienced the power in the technique. 28 moves "The seed is beginning to see the sunlight." 31 moves "The sapling is hidden amongst the taller pines and must fight its way upwards." The student begins to realize his/her place in the world's martial art. The student must now begin to spar in order to be promoted in rank. 34 moves "The pine tree is beginning to develop and grow in strength." and now the path becomes steep." The student has crossed over into a higher level of Songahm Taekwondo. The techniques, forms and level of sparring beome more difficult, creating a "mountain" that must be overcome. 42 moves "The tree reaches for the sky towards new heights." Having passed the mid-way point, the student focuses his/her energy upwards toward black belt. 46 moves "All things turn out perfect and beautiful. The tree is firmly rooted in the earth." 46 moves "The sun is setting. The first phase of growth has been accomplished." The first day (the period of time from white to red belt) of growth is coming to an end. The physical skill has been developed, but lacks control; therefore, physical and mental discipline must now be achieved. 81 moves "The dawn of a new day. The sun breaks through the darkness." The previous day has ended giving way to a new dawn. The student must begin a new phase of training; that of being a black belt. 81 moves "Planting seeds for the future." Interpretation is a new role of loyalty through physical and mental training. 82 moves "With your noble character, you will develop a new permanence in your life."